In the first half of 2011 663,000 new bikes were sold in the Netherlands; 8.6 percent less compared to the same period last year. The average purchase price of a new bicycle increased to 747.37 euro; 6.1 percent up over the first half of 2010. 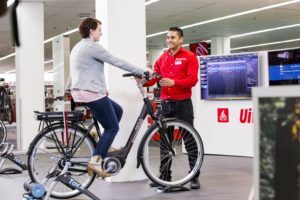 AMSTERDAM, the Netherlands – In the first half of 2011 663,000 new bikes were sold in the Netherlands; 8.6 percent less compared to the same period last year. 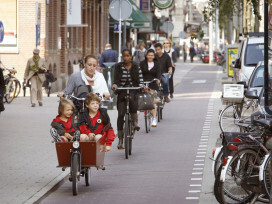 The average purchase price of a new bicycle increased to 747.37 euro; 6.1 percent up over the first half of 2010. 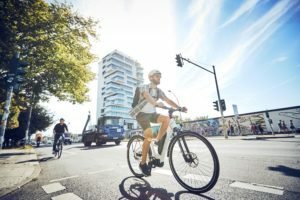 The BOVAG, RAI Association and GfK statistics reveal further that the e-bike sector continues to grow. In the first six months of the year 113,000 electric bikes were sold; 8.7 percent up on the number of the first half of 2010. Also the city bike segment showed some growth; up 1.9 percent. 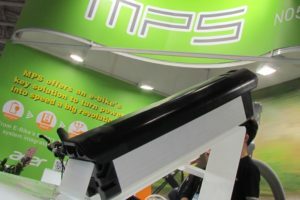 Trekking/Touring bikes suffered from the competition presented by e-bikes. Volume wise this segment dropped 26.1 percent while kids bikes also showed a big decrease with 26.2 percent compared to the first half of 2010. The average selling price of a new bike increased by over 6 percent in the first half of the year. In particular, the purchase price of Trekking/Touring bikes increased by 12.4 percent. 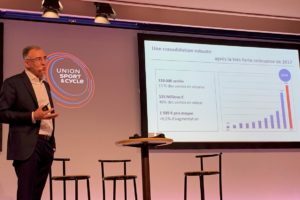 The average purchase price of an e-bike was actually lower: from 1,850 euro in 2010 to now 1,827 euro, down 1.3 percent. In addition, the share of IBDs in the sale of new bicycles grew. 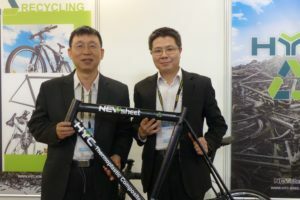 In the first half of 2010, 64.7 percent of all new bicycles were sold by specialist dealers; in the first half of this year their share stood at 67.4 percent. Of all new e-bikes, an even bigger percentage were sold by IBDs; 76 percent. When purchasing such a more expensive bike the Dutch consumer is aware of the expertise and reliability of the expert.